All Summer Lily Mix | Gurney's Seed & Nursery Co. Mix of oriental, tiger, Asiatic, trumpet and species lilies provide variety of colors, flower shapes and bloom times. Produces plenty for the garden and for fresh floral arrangements. Plant in full sun to partial shade. Bloom from early to late summer. Grow 24-48 in. tall. Spacing: 9 - 12 inches. Depth: 4 6 inches. Pointed end up. Foliage: Linear, glossy dark green leaves arranged in whorls or spirals up erect stems. Blooms: Early to late summer depending on variety. 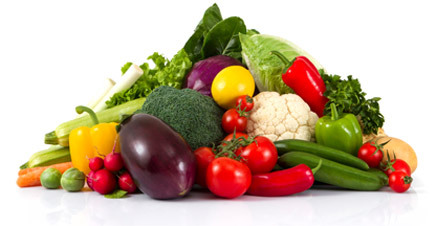 Flower Form: Large petaled flowers in various forms, funnel-shaped, bowl-shaped or with recurved petals. Growth Rate: Moderate to fast growth rate. Will bloom first season. Pruning: Dead-head. Do not remove leaves until they have died in fall. They help provide nourishment to the bulb for next season's blooms. Comments: Unsure what lily to plant? It's easy with the All Summer Lily Garden! It includes a mixture of Oriental, tiger, Asiatic, trumpet and species lilies. So you'll enjoy a variety of colors, flower shapes and blooming times all summer long. Mix provides a wide range of lily types, flower forms and colors to extend the bloom time early summer to late summer. Asiatic lilies with speckled blooms, bi-colors and brushmark types start the season in early summer. 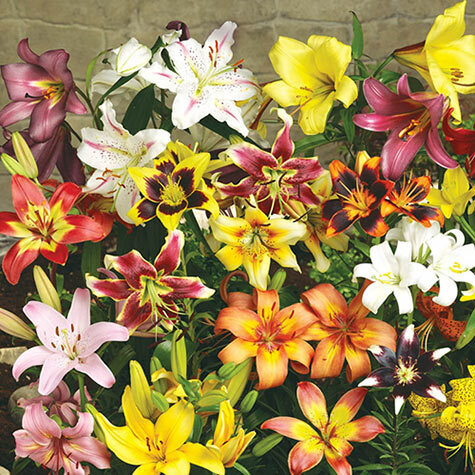 LA Hybrid lilies in bi-colors and bright colors with a sweet fragrance bloom in mid-summer. Oriental lilies in this mix and finish out the season by providing a color show for late summer time.